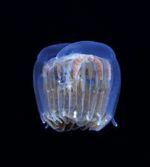 Crown Jellyfish are any of the species of jellyfish in the taxonomic order Coronatae. 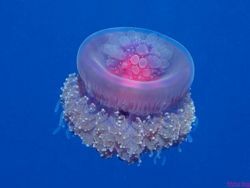 There are eight Crown jellyfish families (Atollidae, Atorelliidae, Collaspididae, Linuchidae, Nausithoidae, Paraphyllinidae, Periphyllidae, and Tetraplatidae). This page was last modified on 21 May 2010, at 13:52.